How hard is it to prove certain theorems? 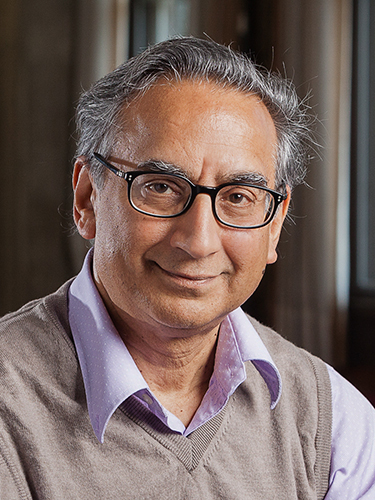 Maruti Ram Murty is a famous number theorist at Queen’s University in Kingston, Canada. He is a prolific author of books. His webpage has thumbnails of over a dozen. He has an Erdős number of 1 from two papers—very impressive. Today Ken and I want to talk about a not-so-recent result of his that is also a “lower bound” type result. What he proves essentially is a “lower bound proof.” This theorem gives a limit to the famous Euclidean proof method showing an infinite number of primes. Let’s take a look at it. Theorem 2 For all the number of residue classes that are abundant is . So why do we care about “Euclidean” proofs? Dirichlet’s proof uses complex analysis—see this for example. As with the Prime Number Theorem there has long been a feeling that the natural numbers should divulge their secrets by more “elementary” means. Atle Selberg found analysis-free proofs of both theorems—see our discussion here. Opinions remain that the structures involved in these and similar proofs do not shed more light on the structure of the primes. Theorem 3 For every , the residue class modulo is abundant. Proof Sketch: Take to be the -th cyclotomic polynomial. The CT theorems we lean on are that for every , and every divisor of either divides or is congruent to modulo . This first gives us the fact of having some prime in that residue class. Now suppose were all such primes and consider some prime divisor of where . Then cannot be a divisor of nor any of because by the first fact. This is the echo of Euclid’s proof. The echo is focused by the second fact giving . So must be a prime in the residue class other than , which gives us the “Euclidean” conclusion that the class is abundant. Theorem 4 The residue classes modulo are all abundant. Proof Sketch: For we note that is prime and suppose is the product of all primes in that class. We use the cyclotomic polynomial with giving . Divisors of are hence either or modulo . However, itself is so it cannot have all its prime divisors be , so some dividing must be , but it cannot be any of the , so again we have the “Euclidean” contradiction to those being all the primes in that class. For or we note that again the residue class is immediately populated and suppose is the product of all its prime members. We use the polynomial value instead. If divides then , so is a quadratic residue modulo . This is either or , and QR theory (noting ) tells us in either case that must be or modulo . The final observation is that since and are both , we have , so . Thus needs to have a prime divisor that is but then by QR we must have without being any of the . Once again this is the Euclidean contradiction. That “final observation” is what Murty showed—perhaps surprisingly—to be necessary in order to find a suitable polynomial in to begin with. For we get all classes but for , for instance, only , , and (besides ) obey Murty’s criterion. To prove more classes abundant we want to widen the scope of the proofs. We connect Dirichlet’s Theorem to the famous conjecture by Christian Goldbach that every even number from 4 onward is the sum of two primes. A straightforward sieve argument implies that at least of the even integers can be written as the sum of two primes, but much stronger is known. This 2007 paper by Andrew Granville cites a claim to show that at most of the even integers up to are exceptions, though its author, János Pintz, has only recently released a long proof of as a stepping-stone. Conditioned on the Generalized Riemann Hypothesis, Daniel Goldston improved the bound of Godfrey Hardy and John Littlewood to . Suppose that most even numbers are the sum of two primes. Then there is a short proof that at least residues are abundant. Any simple proof of “most” for Goldbach must show that many residue classes contain an infinite number of primes. Our first point is that we get more than the number of abundant classes from Murty’s criterion. The latter is where is the number of distinct prime factors of and is or or depending on the power of dividing —in all events this number is . We pay a price of explicitness, however: we may not know which classes are abundant. has at most members that can be expressed as sums of primes. Hence the density of Goldbach exceptions up to is bounded below by , in violation of the most-Goldbach theorem. Thus . For we get that the minimum is so we get both and without needing QR. For and however we only get so all but one the possible residue classes again are abundant. Clearly the bound gets worse as we more along. Oh well. But we can still try to improve it. We do note, however, that the bound we get from our approach is better than any from Euclidean methods for modulo that are prime. By Murty’s theorem it follows that for a prime there are only two residue classes that are provable via the Euclidean method: these are . From estimates noted above, our bounds are better as grows for any kind of . In some special cases we can make further inferences from the “most” property of Goldbach. Let’s look at . Then there are four residue classes but we still only get . So we miss one. But we can do better. The residue classes are . The only way to get by summing two of them is . The only way to get is summing the other two, . Hence if, say, were not abundant, say , then only finitely many even numbers could be sums of two primes, violating the “most Goldbach” property. An inspection shows that there is no hitting set of size 3, so we get that at least classes are abundant. We could try further to argue the way we did with but it does not work: if excludes, say, and (or any of the other three pairs summing to ) then the remaining six residues cover all even-number congruences. Thus getting abundant residues is the most for our style of argument thus far. Are there possible further improvements? Perhaps a way to leverage the tighter bounds on the density of the Goldbach exception set? We close by noting one other quirk of Dirichlet’s Theorem. If we are given a residue and could always guarantee constructing one prime in some other residue then we could construct infinitely many in . Namely, suppose we had constructed so far. Choose such that for each , . Now take and . The we construct from our assumption is bigger than any but still congruent to modulo , so we can add it to our set and continue. Thus if what one might call “Dirichlet-one” is constructive then the full Dirichlet Theorem becomes elementary in a clear sense. Indeed, we get the next prime explicitly, not as an unspecified divisor. This connection raises some hope of sharper estimates that play off certain residues having zero primes rather than finitely many, though they are not immediately to hand. Can we improve the above method to prove more than a square-root bound? It would be neat if we could show that more is true. There are further ideas that Ken and I are thinking about—more in the future. Contrary to conventional wisdom (Getting to the Roots of Factoring), we can define the probability of determining, by the spin of a modified Bazeries Cylinder, that a prime divides a given integer , and show that it is independent of whether or not a prime divides (Corollary 31.8 in Chapter 31, p.283 of this thesis). An elementary, non-heuristic, proof of Dirichlect’s Theorem then follows fairly straightforwardly (Theorem 38.11 in Chapter 38, p.316 of the thesis). An elementary, non-heuristic, proof of Dirichlet’s Theorem then follows fairly straightforwardly (Theorem 38.11 in Chapter 38, p.316 of the thesis). A suggestion: It would help if editing were enabled in Comments.